On Dec. 9, 1999 at 7:13 p.m., Abigail Daner sat on her grandpa’s lap at the piano. Her feet swung with excitement underneath the bench and her hands rested on her grandpa’s as he played her favorite song, If You’re Happy and You Know It. She enthusiastically clapped along when it was time and sang through the song. He was amazed because she was only two-years-old. Since that night, her parents knew that Abigail’s passion would be for music and performance. Daner is a senior at UT studying musical theatre. 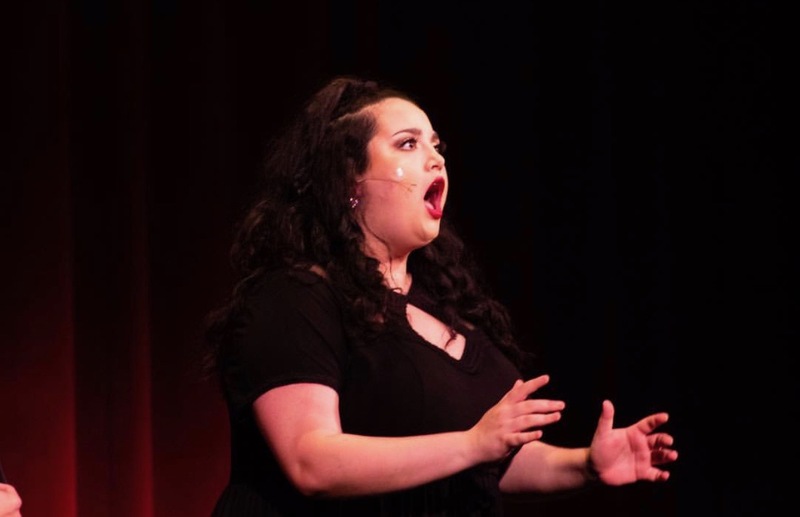 She graduates this May and hopes to get her Masters in Musical Theatre Education. Since Daner was a little girl, her true passion has always been music and performance. She tried sports, cheer and every other activity that her family encouraged her to try, but she found herself drawn to the arts. In college, she even tried different majors until she realized her true calling was musical theatre. At a young age, her parents decided to put her in dance and she loved it. Her passion continued all throughout her childhood into her high school years. She was active in her musical theatre program and was in several shows a year throughout her high school career at Alonso High School in Tampa, FL. The Theory of Relativity is a musical that is a combination of students in college discussing their struggles and triumphs. These individual stories interconnect and Daner’s character, Catherine, is a main component of the plot line throughout the show. Catherine has OCD and she is afraid of touching things other people have touched. Her main conflict is that her boyfriend made her a cake, and she is terrified to eat it. Catherine has a song titled The Great Expectations, is a song that Abigail feels as though everyone, especially college students can relate to. The universal messages behind the songs and stories are written to ensure anyone can relate to a part of this play. Briana DeTuro can be reached at briana.deturo@spartans.ut.edu.